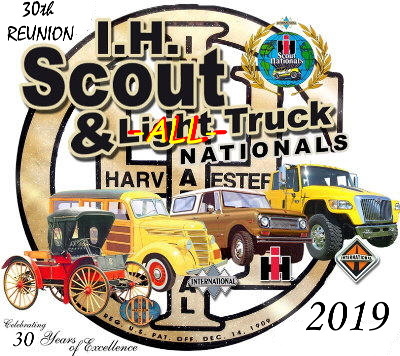 The 30th REUNION IH Scout & ALL (Light) Truck Nationals will be held @ Historic Waco Airfield & Museum - Troy, Ohio - August 16-18 2019! Updated Hotel & Camping information have been listed on the website. Troy is just 30 miles west of Springfield and is easy to get to just North of I-70 on I-75 North to Exit 69, then east on County Rd 25A. Show Participants and spectators who missed last years event will enjoy a fresh and new venue, with Airplane Rides during the weekend, more room for us to spread out, Vehicle games, and much much more! For a few IH enthusiast who have small aircraft, arrangements can be made for you fly in to the airfield for the weekend! 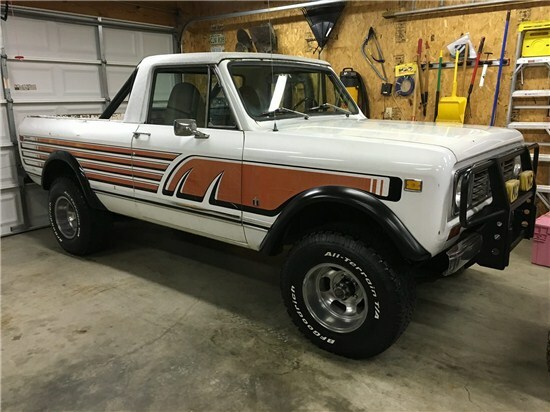 THE GREAT AMERICAN IH SCOUT/BUILDOFF CHALLENGE! Past Show Results Click Here! Just updated!! View show results from 1990 to 2015! Welcome to the home page for Midnitestar Productions, producer of the IH Scout and Light Truck Nationals Show and Swap meet program . Take a look at What's New in our web. Our sole purpose is to produce and host the largest, finest, all-IH & International truck and equipment show anywhere in the world. FOOD VENDORS ON SITE: HICKORY BBQ, ICECREAM, STONEFIRE BAKED PIZZA & HAMBURGERS, HOTDOGS & FRIES. VEHICLE GAMES & EXHIBITION RACING BY THE GRYPHIN RACING TEAM. JUDGED CLASSES FOR ALL INTERNATIONAL TRUCKS 1907 TO 2013 INCLUDING: SCOUTS, PICKUPS, TRAVELALLS, MEDIUM, HEAVY DUTY, CXT, RXT, MXT, PROSTAR, TERRASTAR, LONESTAR & RIGS WITH TRAILERS, ALSO POWERSTROKE DIESEL POWERED VEHICLES WELCOME! 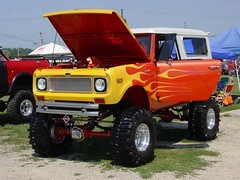 INTERNATIONAL HARVESTER PRODUCT DISPLAYS WELCOME: FARMALL, CONSTRUCTION, REFRIGERATION ETC, ALL IHC COLLECTORS WELCOME! * CUB CADET & FARMALL CORRAL !! BRING YOUR CUB CADETS & FARMALL TRACTORS FOR DISPLAY REGISTRATION IS FREE! NAVISTAR, INTERNATIONAL TRUCK AND ENGINE CORP. DEALERS, CUSTOMERS, RETIREES, VENDORS & SUPPLIERS WELCOME!